The City of Clarksville recently received a Small Community Engineering Assistance Program Grant that is funded through the Department of Natural Resources (DNR). This grant is to be used for the development of a facility plan, for planning purposes, and to evaluate how the wastewater system will respond to potential future requirements. 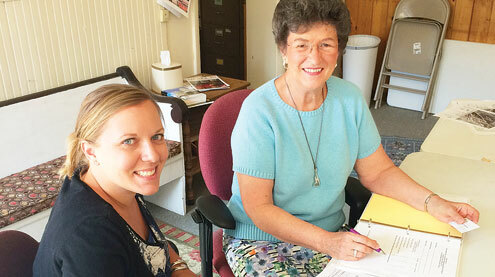 Clarksville Mayor Jo Anne is pictured with Courtney Zimmerman, Environmental Specialist with DNR.